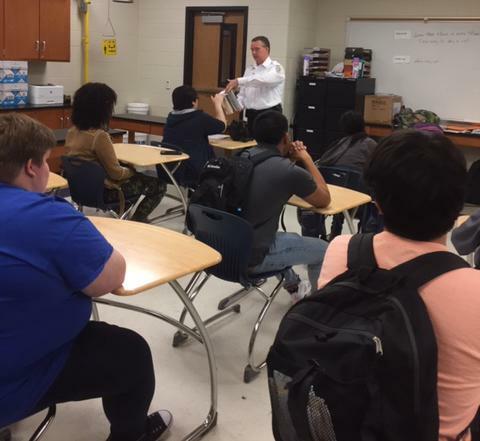 Paris Fire Marshal Clyde Crews visited with Paris High School students recently to explain how fire investigations take place. The students in Ms. Deborah Andrews’ Forensic Science class heard about the investigation of suspected arson blazes and how forensic science aids in finding and prosecuting those responsible. Crews presented information about the science behind how fires start, are fueled and how trained investigators determine if a fire was intentional, natural, incendiary or accidental in origin.